IMEI stands for International Mobile Equipment Identity. Similar to an ESN, a phone has a different IMEI, just like every human has a different fingerprint. Phone carriers use your IMEI to monitor whether your account has any past due bills or has been reported as lost or stolen. 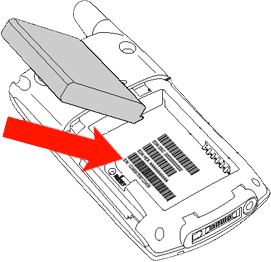 The IMEI number is used for GSM phones and is similar to how MEID numbers are used for CDMA. Before buying or selling a used phone you should always make sure the IMEI number is “clean”. To check if the number is clean you can call your phone carrier from the list below. Please call from a number other than the phone you are requesting information on. What is the best way to sell my old phone or tablet? As stated above it is very important to know if your phone has a clean IMEI. If it does, you can sell your phone to TechPayout. We offer top dollar for your old electronics with free shipping. Click here to get an instant quote now. How do I locate my phone’s IMEI? On many phones you can find your IMEI directly in your phone’s account settings. or to side the battery. How many digits are in an IMEI? IMEI numbers are 15 characters long made up of letters and numbers. Note: ESNs always use the number 0 (zero) and never the letter O. What is a Bad IMEI? you will need to contact the previous owner and have them try to resolve it. Sell your old phone or tablet for cash to TechPayout. Click here to get an instant quote now.